Handsome, roomy and attractively priced. 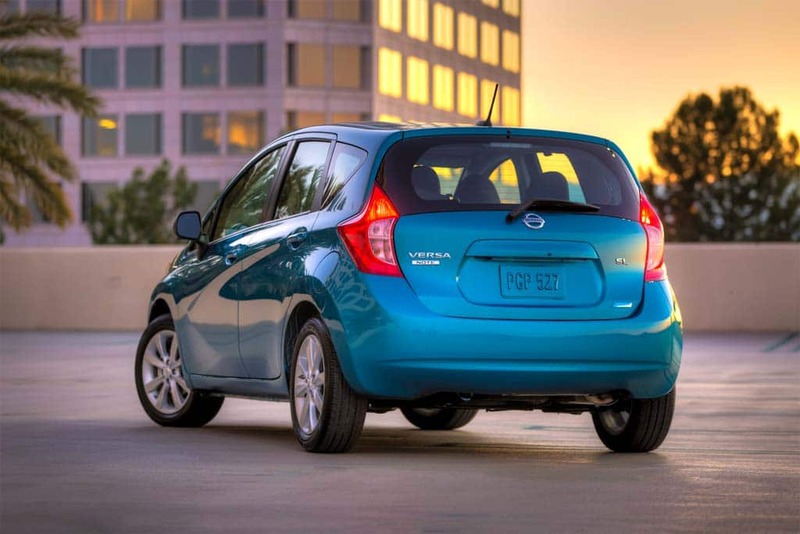 The 2014 Nissan Versa Note gives subcompact buyers a new hatchback option. Small cars are going through something of renaissance that is capturing the attention of more and more American motorists tired of forking over a small fortune at the pump for gasoline. 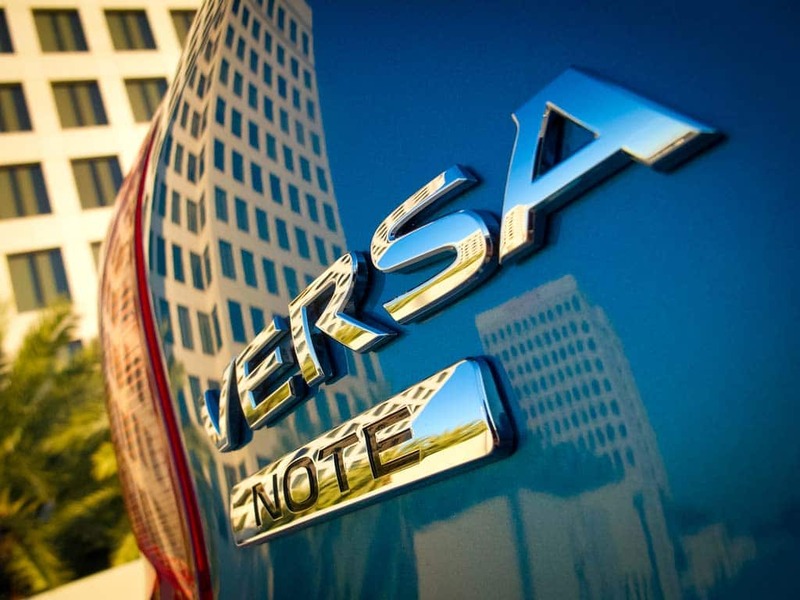 Thus, the all-new 2014 Versa Note seems to be arriving in show rooms at just the right time. Nissan introduced a sedan version of the Versa two years ago that hasn’t exactly set the world afire, yielding the segment lead to Asian competitors like the Honda Fit and Hyundai Accent, as well as domestic models like the Ford Fiesta. The 2014 Versa Note – Nissan’s way of distinguishing its new subcompact hatchback – offers a more stylish exterior design than the sedan, an upgraded platform that improves interior packaging, and new technology to help set it apart from competitors. Despite being 13 inches shorter than the Nissan Versa sedan, the Note hatchback delivers surprising passenger and cargo space. But one of Versa Note’s biggest selling points is its impressive fuel efficiency, which includes a 40 miles per gallon highway rating from the Environmental Protection Agency – with a City rating of 31 mpg and 35 mpg in the Combined category — when equipped with the standard 1.6-liter, four cylinder engine and a CVT transmission. 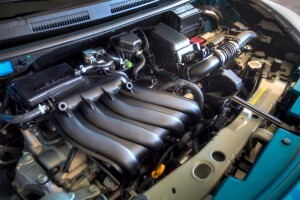 The Versa Notes powertrain produces a modest 109 horsepower and 107 pound-feet of torque, but performance is better than this might first suggest because the 2014 hatchback’s power-to-weight ratio has improved substantially by the fact Nissan’s engineers have managed to carve 300 pounds from the car’s overall curb weight. They’ve also improved on its aerodynamics, which also gives the car’s fuel economy a boost. One pleasant discovery is the improvement in the manners of the 2014 Nissan Versa Note’s CVT. While continuously variable transmissions might look good on paper, yielding double-digit gains in fuel efficiency, there’s a good reason consumers haven’t necessarily embraced the technology – and why a number of makers have shifted away from CVTs. Beyond the badge and a few Nissan styling cues, sedan and hatchback have little visually in common. But Nissan has succeeded in improving shift feel and neutralizing the rubber band-like feel that has hurt the CVT’s reputation. Part of the trick is to modify the gearbox so that it launches like a more conventional fixed-gear transmission until you’re cruising around 10 to 15 mph. Then it reverts to CVT function which was critical in achieving the 40 mpg highway figure. For base model buyers, incidentally, there’s a 5-speed manual. Too bad a six isn’t offered as a higher-line option. Overall, the Versa delivers a smooth ride and its fuel-saving electric power steering maintain a reasonably good road feel, though the word, “sporty” likely wouldn’t apply here. The Note’s brakes, meanwhile, deliver more than enough stopping power. Fifteen-inch wheels are standard but 16-inch wheels are available. The Versa Note is also versatile, maneuverable and roomy enough on the inside to haul both passengers and cargo to fit nicely into an urban lifestyle. 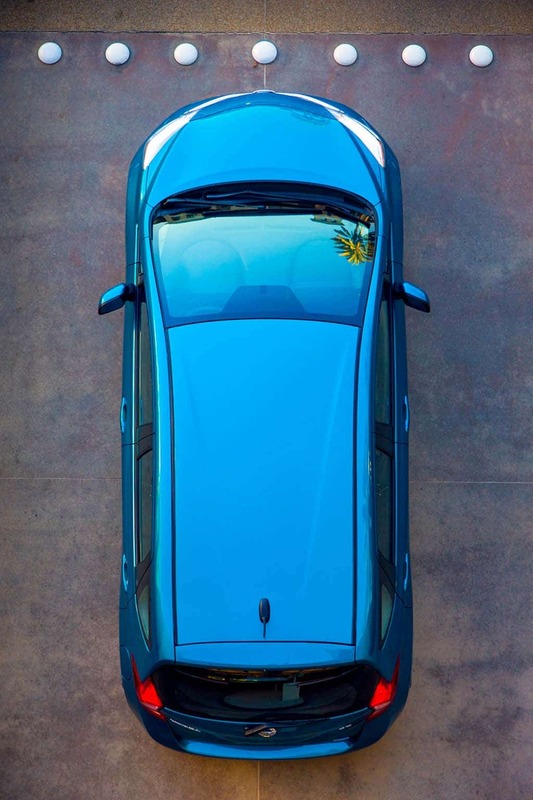 An overhead view of the Nissan Versa Note - much like what you'll see with the Around View Monitor. Where the styling of the Nissan Versa sedan might be described as dowdy, at best, the Versa Note’s hatchback shape is more compelling, the emphasis on aerodynamics giving it a contemporary flair that should wear well over time. The tall roofline provides a substantial amount of headroom, generous door openings, a relatively spacious back seat and a fair amount of cargo space under the hatch – 21.4 cubic feet, to be more precise. That might come as a surprise considering the Note is, at 163 inches nose-to-tail, a full 13 inches shorter than the four-door. Another nice feature of the Versa Note is its under-floor storage system. Its large split-folding seats can be used to create a flat cargo area or to provide a hidden cargo storage area. While there is little to link the exterior appearance of the Nissan Versa sedan and hatchback, the interiors have a bit more in common. Both offer surprisingly good space, as we’ve noted, particularly for rear-seat passengers. Meanwhile, they also share a common instrument panel. The dashboard design is functional, putting controls within easy reach of the driver. The center stack has a bit of squeezed in feel and limited storage space, however, though that is to be expected of a car in the subcompact class. 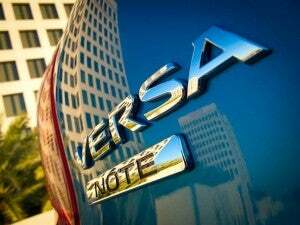 Considering its price point — the base price is a modest $13,990, and you’d be hard-pressed to top $19,000 — the 2014 Versa Note also comes with an impressive list of standard and optional features at S, S Plus and SV grades. That includes Bluetooth, leather-wrapped wheel and seats, navigation, with a 5.8-inch color touchscreen, voice recognition for audio and navi, heated sideview mirrors and Nissan’s Around-View Monitor. The Note's four-cylinder engine delivers acceptable performance - and great fuel economy. Nissan representatives said 2014 Versa Note is the only car in its class with that latter feature, which offers a virtual 360-degree “bird’s eye” view of the vehicle’s immediate surroundings, allowing the drivers to see the lines on either side of a parking space and the wall behind to aid in parking. Four cameras, one on each side of the vehicle, are processed to create this 360-degree view. Around-View is available with the SL tech package. The 2014 Nissan Versa Note also comes with a full complement of safety equipment, including multiple airbags, ABS and electronic stability control. 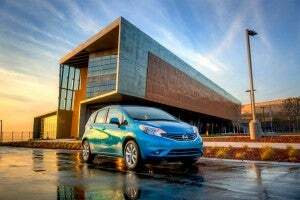 The 2014 Nissan Versa Note isn’t a perfect vehicle. Some buyers may decide it’s under-powered — though it performed perfectly well in expressway driving. But it is smartly designed, versatile and attractively priced. It’s the remedy to the lackluster sedan the maker brought out to market indifference two years ago. We expect the hatchback subcompact to get far more notice. This entry was posted on Thursday, June 27th, 2013 at and is filed under Automobiles. You can follow any responses to this entry through the RSS 2.0 feed. Both comments and pings are currently closed.